Central Japan Railway Company has been holding a tourist campaign called “Sou da Kyoto, Ikou” (That’s Right, Let’s Go to Kyoto) since 1993. 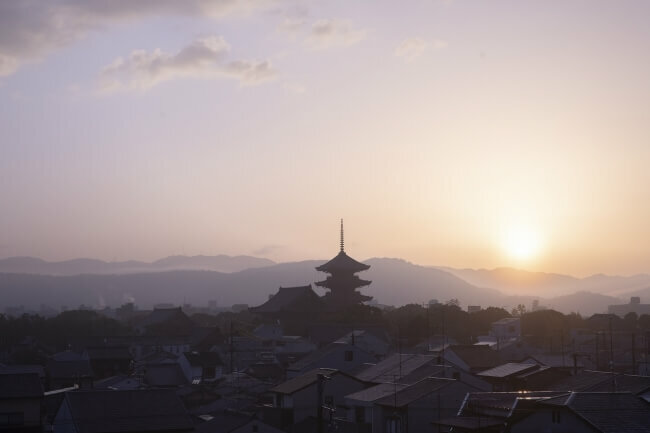 As part of the campaign the company has announced a new theme titled “Haru wa Akebono” (Spring is All About Dawn) which invites people on a peaceful tour around Kyoto’s World Heritage Site in the early hours of the morning. The tour offers people a chance to enjoy popular temples that are always packed with crowds during general opening hours. 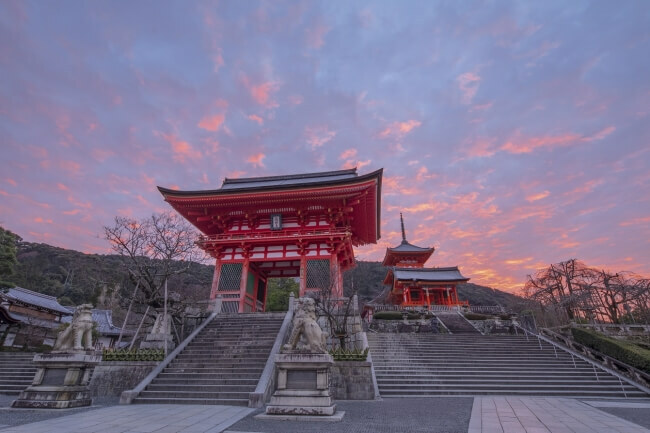 There are three Plans to choose from which give exclusive access to some of Kyoto’s historical landmarks. Repair work has been ongoing at Kiyomizu-dera Temple since 2008 to restore the temple monastery which was built at the time the temple was established. Byodoin Temple too underwent repairs which ended in 2014. This maintenance work saw retiling work of the main temple carried out as well as exterior decoration and more. Enjoy a tour of the temple guided by the temple monk, admire the West Gate during the dark and visit the Kyo-do Hall. Visit the gardens and Hoshokan and talk to the head priest at a tea house. *The tea house talk will be replace by a visit to the Kyo-do Hall on March 3. 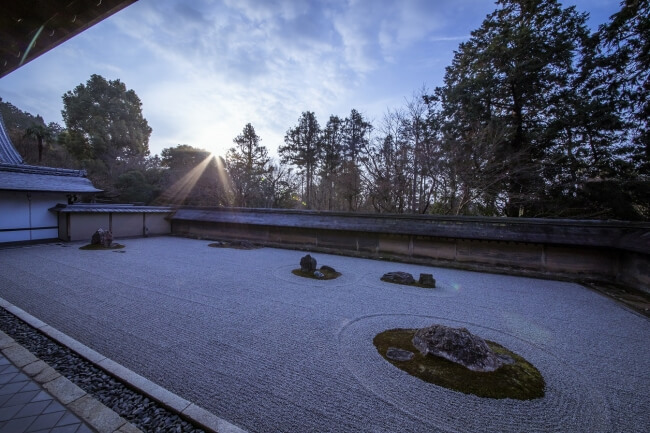 This plan puts you on a bus for a trip to Ryōan-ji Temple, which is famous internationally for its Japanese rock gardens, and Ninna-ji Temple which gave public access to its painting of the five great kings of wisdom for a limited time in autumn 2018. After witnessing the rock gardens visit the West garden and Buddhist temple, both of which are normally closed to the general public. Enjoy a special viewing of the painting of the five great kings of wisdom which was given limited-time public access for the first time in autumn 2018. Also see the scripture house which is normally closed to the general public. Enjoy day break as the sun rises in the early hours of the morning. When the temple grounds are dark it will be lit up as if it is night time. 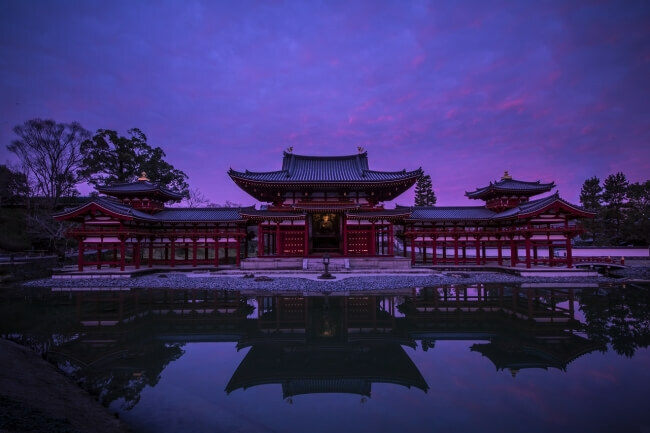 From 7:00AM enjoy an early visit to the five-storied pagoda, main temple and auditorium. A separate application is required to visit. These three plans offer privileged entry to some of Kyoto’s most important locations. If you’re looking to enjoy popular tourist sites without the tourists then be sure to consider this line-up.